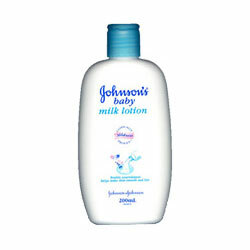 Buy Johnson's Baby Milk Lotion - Johnson & Johnson Baby Products in India. Baby Care Products. Clinically proven mild. Contains a unique combination of natural milk extract and Vitamins A & E. With double nourishment, this product helps replenish moisture to leave skin feeling baby soft. Good for baby, good for you.